I really don’t have a specific subject to post about, so I will just make it up as I go along tonight. I do want to start off by saying thank you to everyone who has liked my posts. I have received another award for 200 Likes! Thank you! Thank you! I am very humbled. And yes, a little proud of myself. 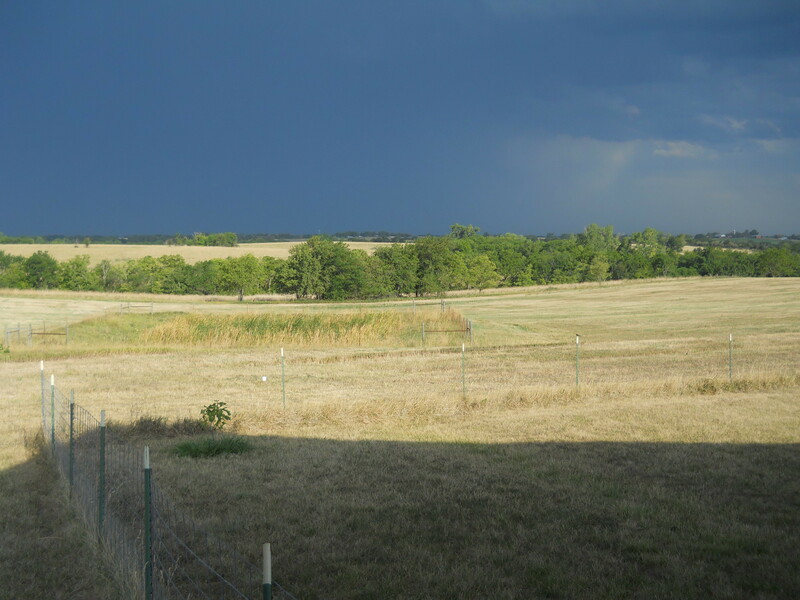 The weather here in NE Kansas has finally cooled off. Wednesday it was still up in the nineties, and I think maybe Thursday was too, (my memory on somethings are not always very accurate) Thursday night a cold front moved through and it did storm a little during the early hours. Friday morning Hubby woke up before me as usual and opened up the windows to let in the nice cool north breezes. That woke me up! Our bed sits right by the north windows. But, I loved it! I was so ready for it to cool off. I probably have said it before in one of my posts that I really pretty much hate the heat. Especially with the humidity. It just saps my energy. I love cool weather. I dislike the bitter cold just about as much as I do the heat. I like it to be cool enough to wear sweatshirts and jeans. Or at least a long sleeve shirt and maybe a light jacket. I love to snuggle up in the cold with a blanket. Hubby is always too cold. He loves to burn the fireplace in the winter. I do like a fire in the fireplace. It can be romantic at times. :-). But as we have a lot of hedge trees on our property, that is what Hubby cuts the most. And it burns hot. The fireplace is in the living room where the thermostat is and so it can be very cold in the bedroom. Of course with two blankets and a bedspread and two dogs sleeping with you, it can be pretty warm. Sometimes too warm for me. I get hot a lot. I need a fan in the winter sometimes. Today was a little warmer again. But just up in the eighties. But it cooled right back down at sunset. It was nice and cool when we got up this morning and fixed some coffee and sat out on the porch. We haven’t been able to do that for quite awhile. It was nice. I guess today was Grandparents Day. I didn’t really realize that. Both sets of my grandparents are long gone. We are grandparents with one granddaughter. She invited us to her school tomorrow for a Grandparents Breakfast. 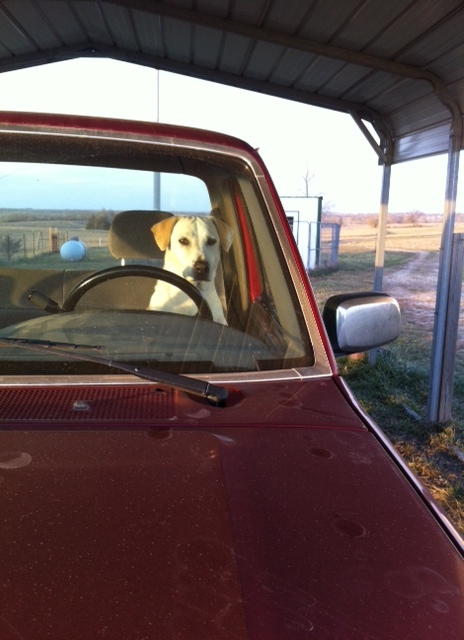 Hubby can’t make it as he will be working, but I am going to pick her up and take her to school and go. It usually only consists of donuts and juice, but we enjoy going and she enjoys us being there. I thought I might post a few pictures to wrap things up. In 2012 we were in a pretty good drought. We even ran out of hay before winter was over as we had to feed the cows and horses and donkey pretty much all year instead of just in the fall and winter. We were able to buy some and squeak by until our crop of hay was ready in 2013. 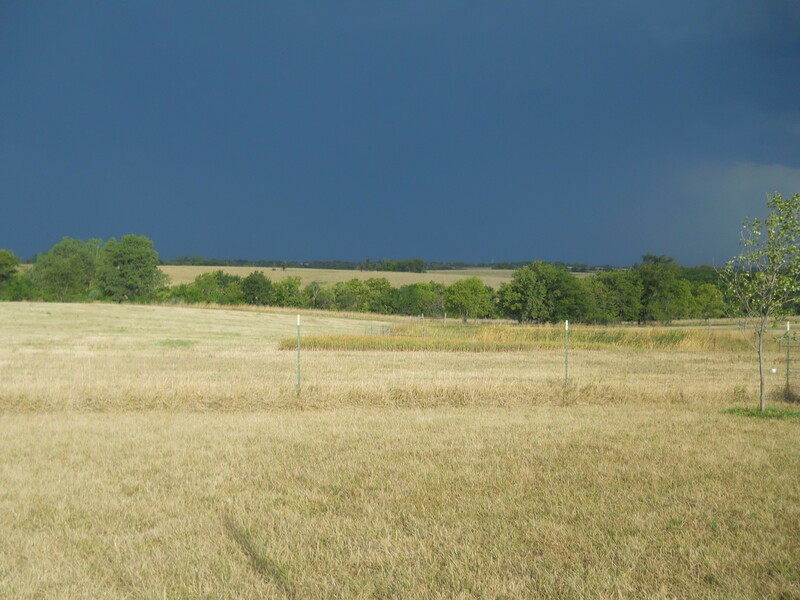 Thankfully we had some good spring rains then and had a bumper crop of hay. Our pond had pretty much dried almost completely up as well and Hubby found this snapping turtle shell in the mud. He cleaned it up a little and I thought it was pretty neat. Kind of gross, but neat. 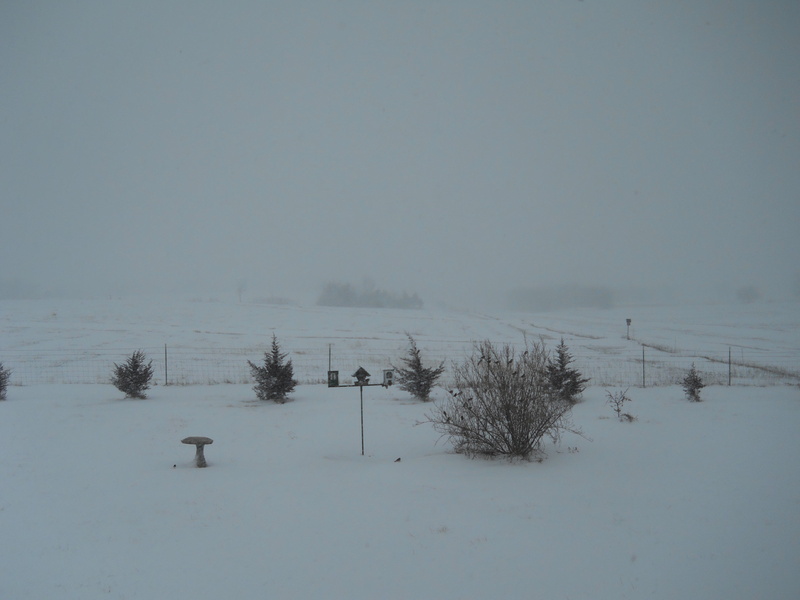 This is what our grass looked like in July 2012. This is what it is supposed to look like in the winter. This is how fast Kansas weather can change. 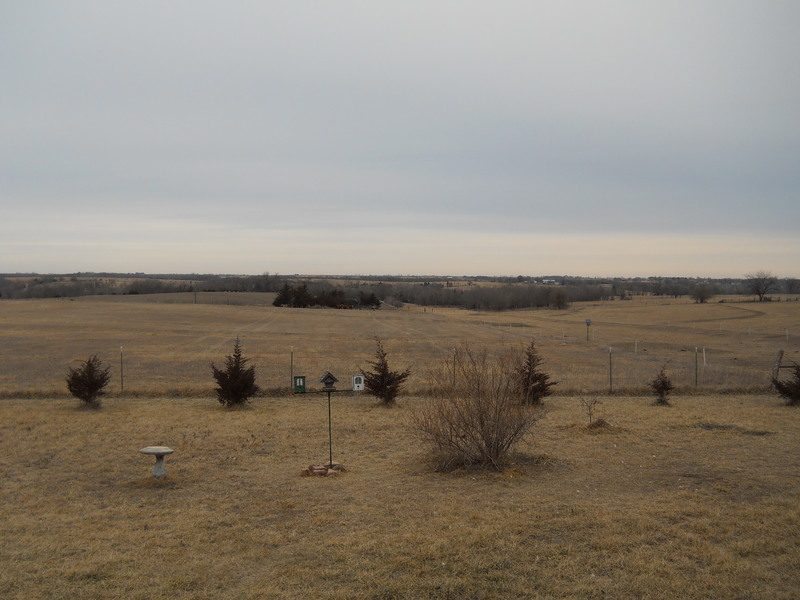 The first photo was taken February 20, 2013 at about 9am. The second about 9:53am. 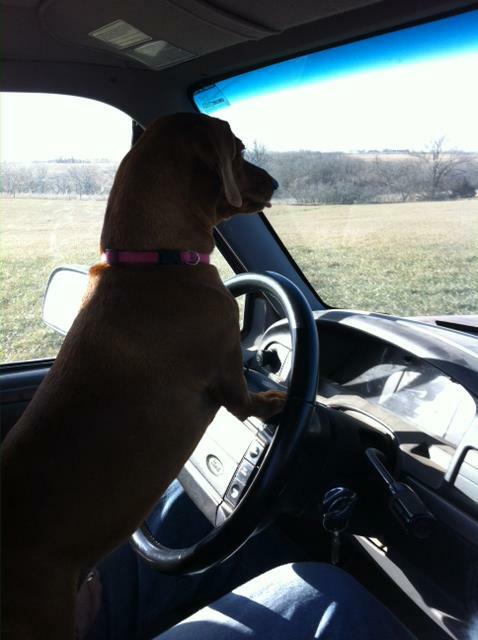 Sasha, our Dachshund, and Patches, a Lab mix are learning to drive our truck. 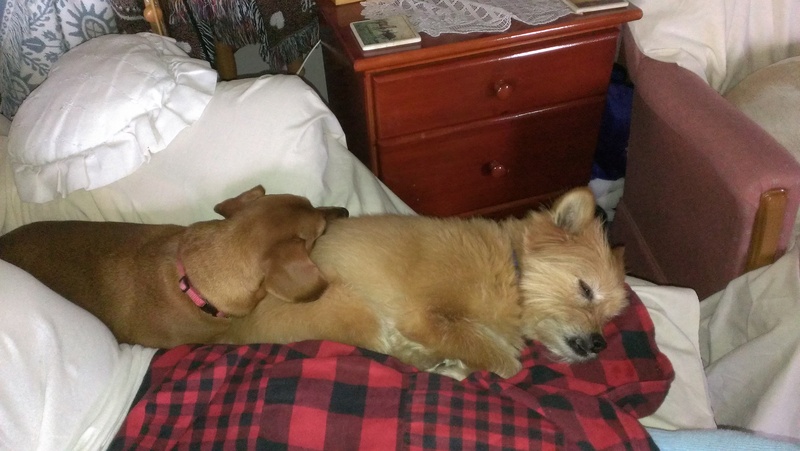 Sandy and Sasha taking a snooze on my lap. 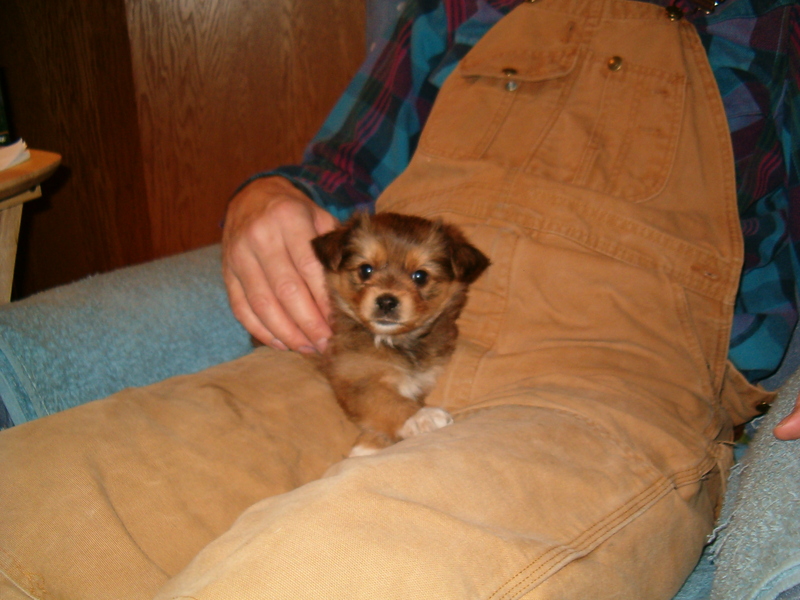 The other picture is Sandy as a puppy when we first got her. Adorable huh? 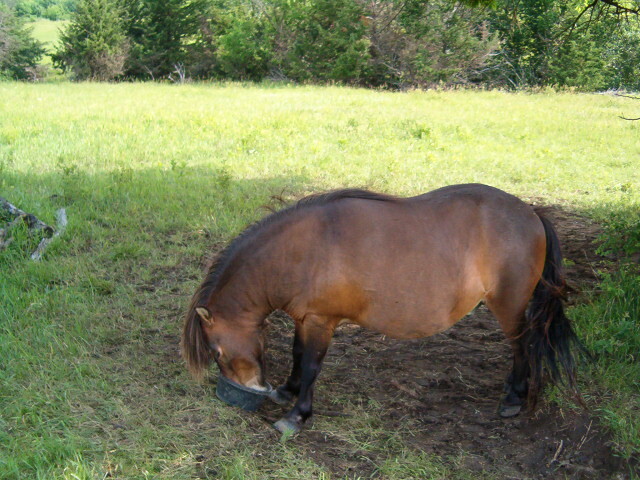 This was my miniature horse I used to have. He now belongs around the corner to a neighbor’s granddaughter. 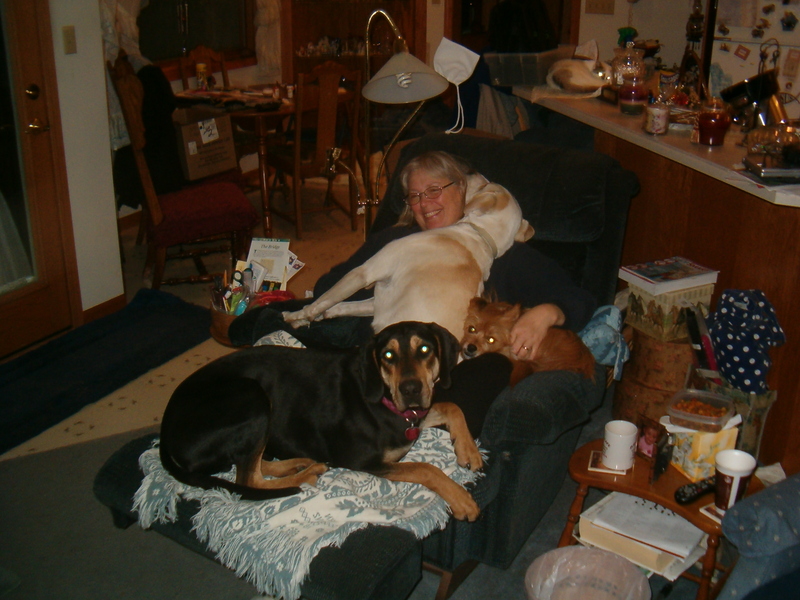 We all think we are lap dogs! Thankfully this was before Patch and Bear got up to 80 pounds! And before Sasha came. I have to go to bed now. I have to get up early to get granddaughter for school. I will be posting more pictures later. Good night. Wonderful post, enjoy your breakfast !!!! !